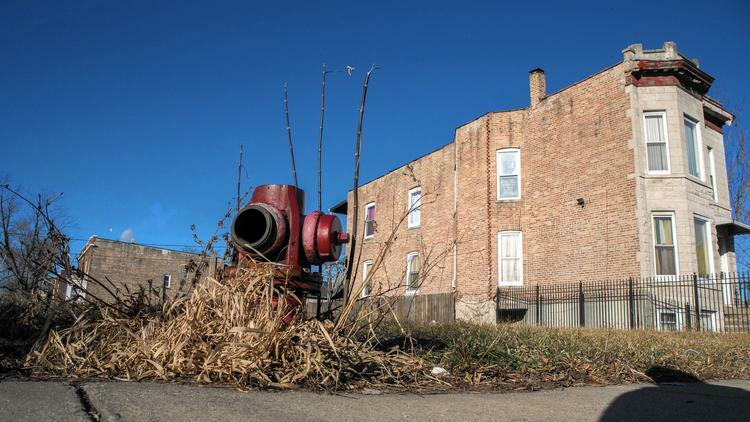 Aiming to curb Chicago’s vacant lot epidemic, the Cook County Land Bank Authority has made more than 4,000 once tax-delinquent vacant lots available for sale. The 4,437 properties are available in 22 community areas, primarily on Chicago’s West and South sides and in 12 west and south suburbs, for $3,000 to $5,000. Many of the lots have sat vacant for a decade or more, and are among 8,000 tax-delinquent properties the land bank aims to sell to local developers, not-for-profits, block clubs and community organizations to help revive neighborhoods hit by the foreclosure crisis and the decline of manufacturing. The land bank, which owns the properties’ tax certificates, has removed the red tape for potential buyers by extinguishing back taxes, liens, unpaid city fines or utility bills. “We’re trying to give an adrenaline boost to development in these communities by eliminating barriers to getting access to the property,” said Cook County Commissioner Bridget Gainer, chairman of the 3-year-old land bank. “The thing we wanted to address … is to say, ‘Look, I can’t make someone develop the property, but I can remove the barriers to that decision,'” Gainer said. The for-sale properties were identified based on their proximity to what Gainer described as “other economic engines,” such as CTA and Metra stops, railroads or open space, such as parks. The program shares a similar goal to the city’s Large Lots Program: Make it easier to purchase and redevelop vacant properties in communities where private investment has been scarce. In the city, vacant lots are available in Auburn Gresham, Austin, Belmont Cragin, Brighton Park, Calumet Heights, Chatham, Chicago Lawn, Englewood, Garfield Park, Gage Park, Grand Boulevard, Greater Grand Crossing, Hermosa, Humboldt Park, Morgan Park, Roseland, South Shore, Washington Heights, Washington Park, West Englewood, West Pullman and Woodlawn. The suburban communities are Bellwood, Chicago Heights, Country Club Hills, Dixmoor, Matteson, Maywood, Melrose Park, Midlothian, Olympia Fields, Posen, Riverdale and South Holland. In the city, potential buyers are required to provide a letter of support from the local alderman if they don’t live in the same ward as the property. Suburban properties must have the support of the municipality if the buyer is not local. Closings could take up to six months and once closings occur, new owners are responsible for paying property taxes from that point on. Is slashing red tape enough to lure buyers to invest in blighted properties, many of which are in struggling communities? The land bank’s work, which includes buying 400 vacant homes in blighted neighborhoods and selling roughly 350 of them, demonstrates that eliminating barriers to purchasing blight properties creates a new network of potential buyers and boosts a community’s potential for revitalization, according to Gainer. The land bank plans to market an additional 500 commercial and industrial properties this spring. If there are challenges to rehabbing a residential property, imagine the hurdles to redeveloping an industrial site, Gainer said. The city of Chicago’s vacant lots program, known as the Large Lots Program, sells vacant city-owned parcels to nearby homeowners for $1 each. The city requires the lots be for residential uses only, and most are turned into side yards, gardens or landscaped open space. Buyers must also agree to maintain the lot, pay property taxes and hold the land for at least five years before selling it. So far, the city has sold 550 lots in greater Englewood, East Garfield Park, Austin, Roseland, Pullman and Auburn Gresham. The city has received 2,800 applications for another 4,000 available properties in 33 communities, according to Peter Strazzabosco, deputy commissioner of the Chicago Department of Planning and Development. Those interested in browsing or buying the land bank’s vacant lots can visit the organization’s website.